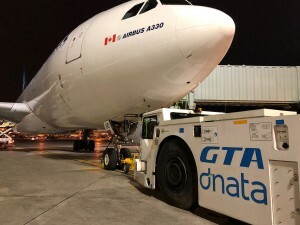 GTA dnata expands operations at Toronto Pearson International Airport with the start of a new, long-term partnership with Air Transat. Starting from November, GTA dnata provides ground and passenger services to the airline, more than doubling the number of flights handled by its operations. To support the growth, GTA dnata has hired more than 200 additional staff to its team, which now consists of 450 customer-oriented aviation professionals. Mario D’Urso, Chairman, GTA dnata, said, “We are proud to have been selected the ground handling partner of Air Transat at Toronto Pearson International Airport. This long-term contract is a vote of confidence in our quality services and we look forward to supporting the extensive operations of Canada’s largest leisure carrier. It is our aim to exceed our customers’ expectations, and we will continue to work hard to deliver excellent service for all our airline partners in Toronto with our expanded team.” dnata entered the Canadian market by establishing GTA dnata through the acquisition of 50 per cent stake in GTA Aviation’s cargo and ground-handling operations at Toronto Pearson International Airport in 2016. GTA dnata now serves 12 airlines in Toronto, assisting 4,800 passengers and moving two tons of cargo every day. Underlining its commitment to the Canadian aviation market, dnata will also establish flight-catering operations and open a new, state-of-the art facility in Vancouver in January 2019. Etihad Airways will increase its flights from Abu Dhabi to Canada’s largest city, Toronto, from three to five weekly services from October 28. The flights will be operated by Boeing 777-300ER aircraft, featuring 40 seats in Business Class and 340 in Economy Class. Robin Kamark, Chief Commercial Officer, Etihad Aviation Group, said: “We are thrilled to announce more flights to cosmopolitan Toronto, one of the most successful and popular destinations on our global route network. This news has been eagerly anticipated. We have welcomed well over a million guests on our flights to Toronto since we launched the service almost 13 years ago. This development is great news for UAE nationals, for who Canada is an exciting trade, touristic, and cultural partner, and for Canadians, including the thousands residing here in the emirates. 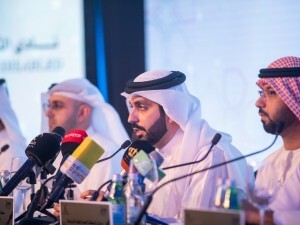 The UAE is also Canada’s largest export market in the MENA region, so the extra services are a boost for trade to and from the area and beyond.” Etihad Airways inaugurated services to Toronto on October 2005, and since then the route has proved very successful for the airline, recording consistently strong demand to and from both cities. 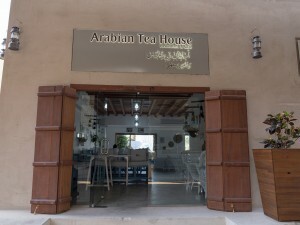 Approximately 45,000 Canadian citizens reside in the UAE, with over 150 Canadian companies registered across the country. Citizens of both countries now enjoy visa-free entry for business and tourism on stays of up to six months. 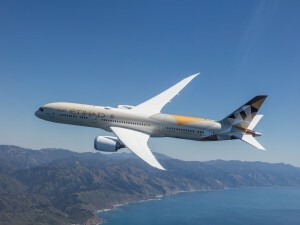 Etihad Airways has a codeshare partnership in place with Air Canada, with the Canadian flag carrier placing its ‘AC’ code on Etihad services from Toronto to Abu Dhabi and from London Heathrow to Abu Dhabi.